AIA Dallas’ six-week exhibition at Life in Deep Ellum will come to a close on July 11. The closing event at the gallery will include a discussion with the five winning project teams, announcement of the People’s and Press Choice award winners, and a wine and cheese reception. The exhibition aimed to shine a light on experimental design and celebrate progressive architectural concepts. The exhibition opened with an awards announcement by nationally renowned jurors on May 28 as part of AIA Dallas’ new chapter of its Unbuilt Design Awards program. Since the exhibit’s opening, hundreds of votes were cast by Life in Deep Ellum gallery visitors. The People’s Choice Award winner is based on ballots submitted by those who visited the exhibit. 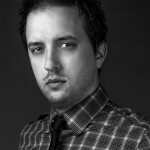 The Press Choice Award winner is determined by local press jurors D Magazine arts editor Peter Simek, Dallas Morning News architecture critic Mark Lamster, Dallas Observer culture editor Lauren Smart, and KERA Art&Seek reporter-producer Jerome Weeks. 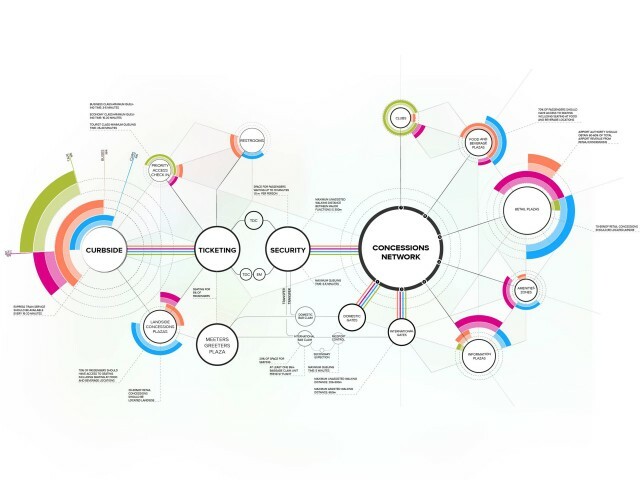 The 2015 Unbuilt Design Award Winners were selected and announced on May 28 by nationally renowned jurors Jenny Wu, partner at Oyler Wu Collaborative; Elizabeth Whittaker, AIA, founder and principal at Merge Architects; and Adam Yarinsky, FAIA, principal at Architecture Research Office (ARO). Since the completion of the Norman Foster designed Terminal 3, the central spine of the Beijing Capital Airport, airports have acted as the symbolic front door to a host of emerging Chinese markets. 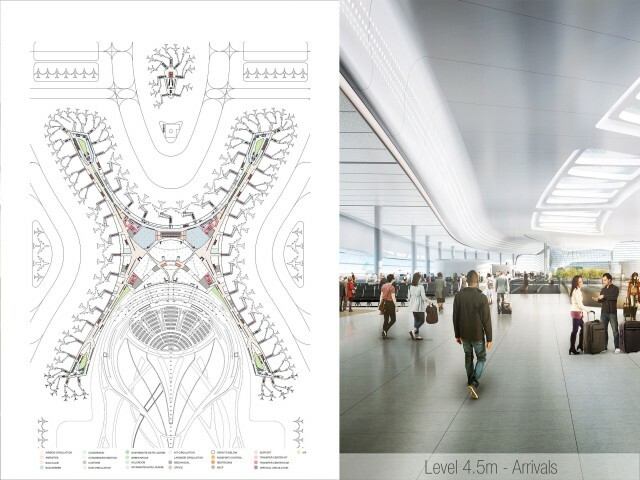 The functional diagram and progression from Foster’s accomplishment drives the Chinese airport typology. Through a seamless transition between a local transport means and the terminal itself, a visitor is cast through the arrival and departure process as smooth as ever with little in the way to disconnect from views out toward the city or countryside. 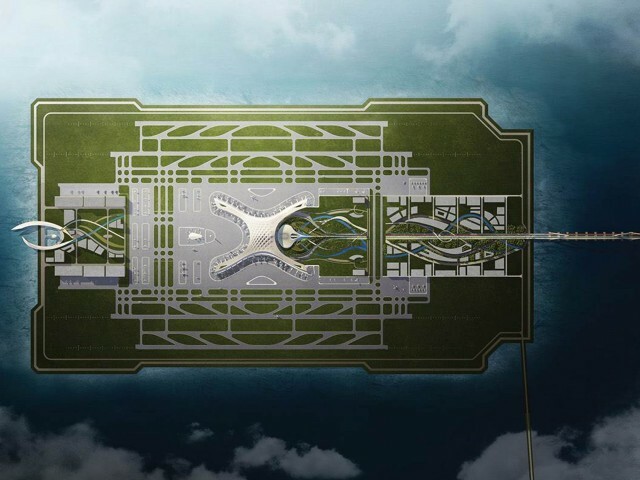 Corgan’s scheme for the Dalian Airport Competition arranges the program around the key nodes inherent to the modern Chinese Airport Diagram: Arrival, Ticketing/Security, and the Departure Gates. The magnitude of the second node drives the form generating a seamless connection volumetrically from intersecting circulation to roof. 101 gates, in symmetrical fashion, splay from the central node. Each departure and arrival arm centers around a double height impluvium bringing a touch inbound within the seating space. The design is elegantly simple, focusing purely on the transmission of light and the connection of view through enhanced depth. The broad, low-slung form reflects the cross-section of airflow through the flight path. Openings evocative of the scaled roof forms found on Beijing Terminal 3 take an impressive step forward through a poured form that filters daylight through the depths of the central hall. 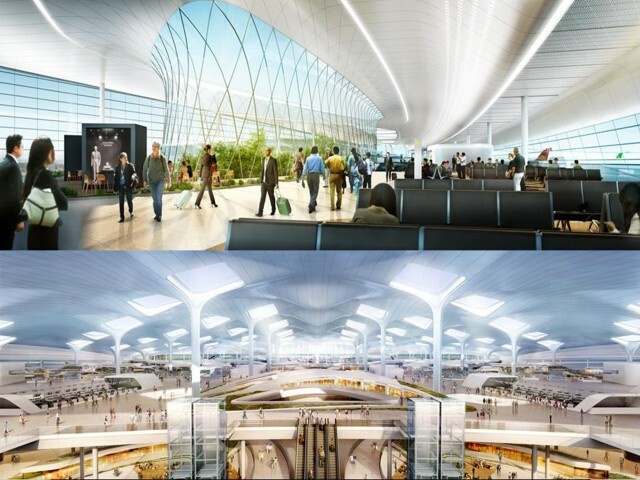 Once complete, the airport will serve as the largest air transport hub in North Central China.